Bubby and Bean ::: Living Creatively: December Sponsor Call >> Be Part of Bubby and Bean for the Holidays! 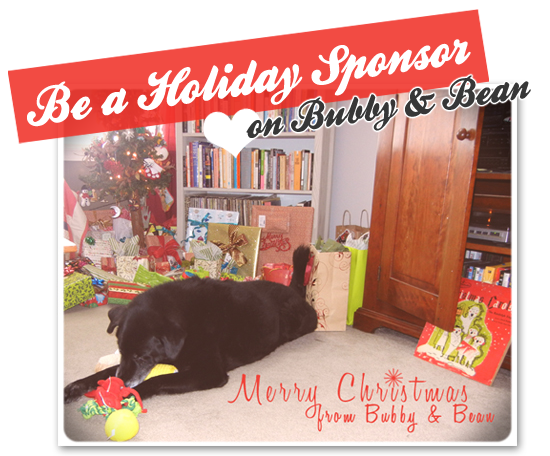 December Sponsor Call >> Be Part of Bubby and Bean for the Holidays! This is the official call for December Sponsors here at Bubby & Bean: Living Creatively! 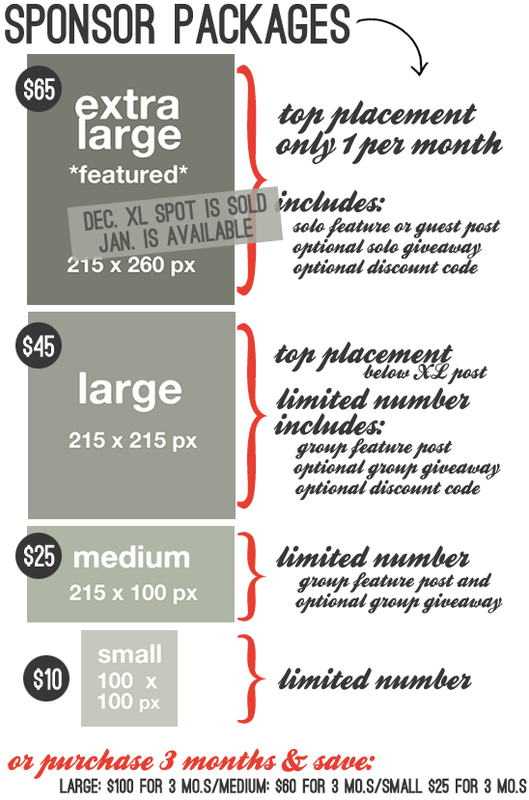 December will be the busiest and highest traffic month of 2011, both here on the blog and for our sponsors. December will bring our most frequent and best posts of the year: holiday DIY projects and tutorials, gift guides, holiday decor and recipe posts, holiday fashion guides, free holiday printables, special giveaways, and lots more. You are invited to be a part of it! See below for more information on current stats, advertising packages, and pricing. You can book your space in one click directly through the SPONSOR PAGE. *Please note that December sponsorships will sell out quickly. Sold out spots will be noted on the Sponsor Page. BLOG >> In the past month alone, Bubby & Bean received over 44,000 page views, and had 16,800+ unique visitors. We also currently have 1,900+ subscribers via readers, Google Friend Connect, and Bloglovin', a number that grows daily. TWITTER >> I tweet several times a day to my nearly 4,050+ followers on Twitter about new Bubby & Bean content with links to this site. FACEBOOK >> My combined Mountains of the Moon page and Bubby & Bean Art page have 4,100+ fans and growing. The Bubby and Bean Blog is linked on both of these pages, and I post daily status updates with links to this blog. Ready to join the Bubby and Bean Holiday Team? You can book your space directly on our Sponsor Page, right here. Have questions? Feel free to contact me to request additional information. Looking forward to an amazing December!